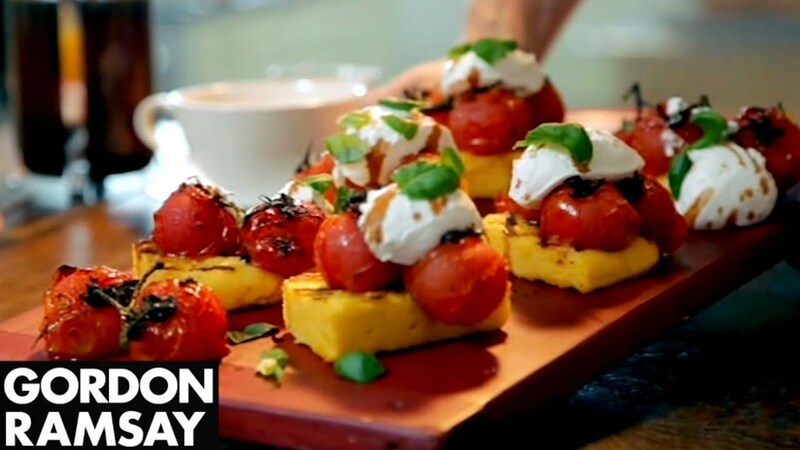 Chef Gordon Ramsay shows us how to prepare a Grilled Polenta With Tomatoes and Goat’s Curd. Polenta is a dish of boiled cornmeal that was historically made from other grains. It may be served as a hot porridge, or it may be allowed to cool and solidify into a loaf that can be baked, fried, or grilled. The dish is associated with Northern and Central Italy, Savoy in France, Switzerland, and Romania. It is also common in Brazilian regions that received Italian immigrants. The variety of cereal used is usually yellow maize, but buckwheat, white maize, or mixtures thereof may be used. Coarse grinds make a firm, coarse polenta; finer grinds make a creamy, soft polenta. Polenta is a staple of Northern Italian cuisine (and, to a lesser extent, a Central Italian one, e.g. Tuscany) and its consumption was traditionally associated with lower classes, as in times past cornmeal mush was an essential food in their everyday nutrition. 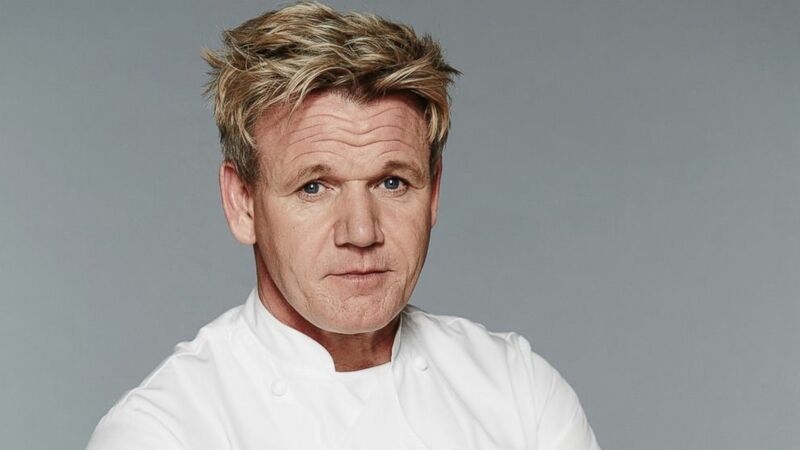 As it is known today, polenta derives from earlier forms of grain mush (known as puls or pulmentum in Latin that were commonly eaten since Roman times. Before the introduction of corn (maize) from America in the 16th century, polenta was made from starchy ingredients like farro (wheat), chestnut flour, millet, spelt (wheat), and chickpeas.